In celebration of its first year anniversary and to mark the change of season, Wolgan Valley Resort & Spa will launch a special promotional offer, 'A Spring Temptation'. The offer, valid from 1st September to 19th December, 2010, invites guests to welcome the renewal and rebirth of spring at Wolgan Valley, and includes two nights at the resort at a special promotional rate, and an exclusive Wolgan Gourmet or Timeless Spa pack to take home. 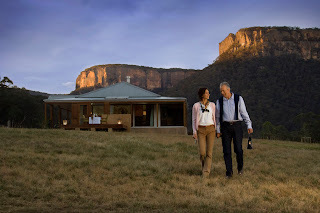 Opened in October 2009, Wolgan Valley heralded a new era of understated luxury in the country. As Australia's first conservation-based luxury resort, it has since achieved global success and recognition for its commitment to sustainability without compromising on world-class luxury and style. Joost Heymeijer, General Manager, Wolgan Valley Resort & Spa said: "It is very satisfying to be part a ground-breaking project with such commitment to strong core values of service, luxury, and location. As our first year anniversary milestone approaches, we have certainly solidified our formidable presence as a luxury landmark destination in Australia." "We are already seeing repeat bookings with guests wishing to experience Wolgan Valley through the different seasons. This spring, guests can expect to experience warm sunsets, sightings of baby wombats and joeys and a cool dip in their own private indoor/outdoor pool," commented Mr Heymeijer. 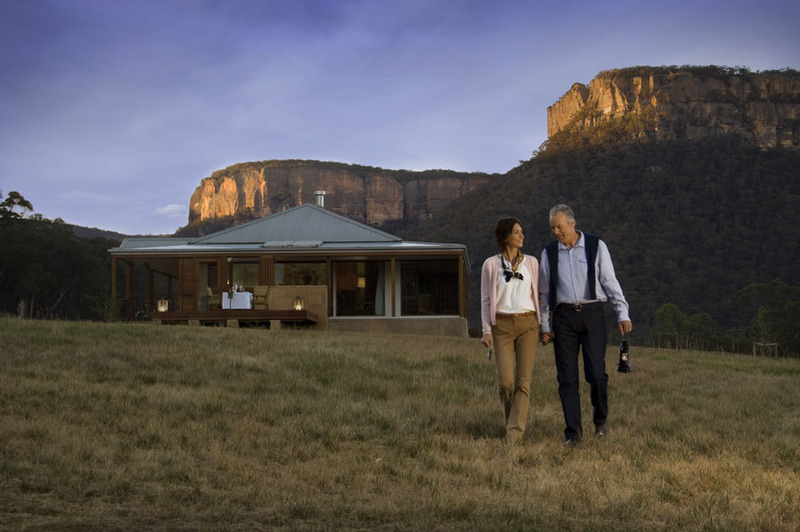 Enjoy two nights in a double Heritage Suite at Wolgan Valley Resort & Spa this spring, including breakfast, lunch and dinner daily, all non-alcoholic and selected alcoholic beverages, two nature-based activities each day, for just $1,470* per person, representing a saving of over $500. As part of this unique package, guests will also take home a complimentary Taste of Wolgan Gourmet Pack or a Timeless Spa Pamper Pack abundant with the finest luxury products found at the resort. Valid from 1st September - 19th December 2010, package rates are based on double occupancy with a minimum two nights' stay. Promotional hampers are redeemable per suite booking. Other terms and conditions apply. To book, please contact the Wolgan Valley Reservations team on 02 9290 9733 or email reservations@wolganvalley.com. Young market visitors to The Original Eumundi Markets in the upcoming September holidays can get creative by taking part in workshops to teach them how to make their own kites, candles and badges. The kids craft workshops will be run each Wednesday and Saturday morning market over the holiday period, starting Saturday 18 September. Market Manager Peter Homan says The Original Eumundi Markets craft workshops are a popular activity with market visitors in school holidays. "We're really excited to introduce the kite making and decorating workshops, a new addition to our program for kids," he said. "These are being led by local kite makers John and Marie from Sunshine Rainbow Kites, who sell their handmade kites here at Eumundi Markets every Saturday throughout the year". "After making their kites in the workshop, kids can then take them to one of the many park areas in Eumundi and test their flying skills!" "The candle workshops involve dipping and then sculpting wax to make funky colourful candles," he says. "Our badge making workshop is also popular with young artists, who create their own design on a badge they can then wear home as a souvenir of their time at Eumundi Markets". 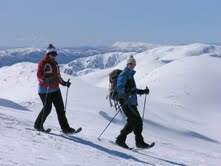 While they are designed for children, big kids (teenagers and adults) are welcome to take part too – if spaces permit. Children under five must be accompanied by a carer – to help them with the tricky bits! Spaces are limited, so market visitors are advised to book in at the workshop tent on arrival in at the markets. You can pre-book for a workshop time later in the day. As the biggest and best market in Australia, Eumundi is renowned for its quality art and craft – with stalls selling products for visitors of all ages. And when you need a break from the shopping, sit back and be entertained by a stellar line-up of performers guaranteed to get you in the groove. How does red turn green? Think Red Mangrove Galapagos Lodges (http://www.redmangrove.com/). This environmentally and socially responsible company is pioneering multi-island, land-based touring while guiding a fragile ecosystem to a sustainable future. In so doing guests experience green, solution-oriented experiences surrounding natural and social environments. "Galapagos is one of the few destinations on earth where enlightened guests do not have to give up amenities or adventure in order to be in harmony with our responsible tourism philosophies," said Hernan Rodas, visionary owner and founder of Red Mangrove Galapagos Lodges. He noted that his company also focuses on local communities when it comes to hiring, purchasing, educating and sponsoring. As a result, he said, visitors relax into an intact, solution-oriented, sustainable vacation while discovering the intra-island beauty of five distinct islands: Santa Cruz, Santa Fe, Floreana, Tortuga Island and Isabela. The company's three lodges on Santa Cruz, Isabela and Floreana were constructed with a sustainable philosophy from the ground up. Red Mangrove's Aventura Lodge on Santa Cruz became the first hotel in Galapagos to have an onsite filtration system for drinking water to eliminate the need for imported bottled water; the lodges are among the only island accommodations to utilize black water treatment plants to recycle water; low-water, energy-saving washers and dryers assist the sustainable process, as do efficient 50KVA automatic generators and low environmental impact four-stroke motors on an inter-island transport vessel. (Note: inter-island, land-based touring consumes less fuel than cruise programs do.) One lodge (Floreana) operates entirely off the grid. Cleaning products and supplies are all bio-degradable and the company has achieved an almost-paperless status. Organic bulk shampoo and repellents are sourced from the Ecuador Amazon. Locally hired employees are supported with business and language skills training and are offered sponsorship opportunities for further education to become, for example, naturalist certified guides. Staff and guides lead by example promoting environmental stewardship by policing visited areas daily, picking up any trash or litter they may find. Red Mangrove walks the talk of habitat preservation and community involvement. Accommodations and operations adhere to and often exceed the most stringent environmental standards. Out of respect for the local community, Red Mangrove has helped native fishermen find alternative livelihoods through tourism by utilizing a fleet of former fishing boats for transportation and sightseeing. Other outreach projects include support of a Family Health Program initially serving families of Red Mangrove employees on the Island of Isabela, a care program for at-risk horses associated with local tourism in Puerto Villamil and in partnership with the University of Cuenca, assisting a dental care program for employees, tourism providers and islanders on Santa Cruz, Isabela and Floreana. See: http://www.redmangrove.com/our-involment/. Red Mangrove Galapagos Lodges in 2007 introduced a land-based alternative to exploring the Galapagos that heretofore was a cruise-only destination. With upscale waterfront lodges strategically situated on Santa Cruz, Isabela and Floreana, it is the only company offering high quality, branded accommodations and services on multiple islands in the Galapagos. Because it is land-based, Red Mangrove can offer a more extensive roster of activities and more flexibility than traditional cruise options. The customary way to experience Red Mangrove's hospitality is to spend a number of nights on each island accessed by small boat and/or aircraft. With 14 guest rooms, Aventura Lodge on Santa Cruz is distinguished by its unique architectural design which blends its mangrove forest and seafront environments tastefully and responsibly. Its location boasts generous views of Puerto Ayora Bay. Separated from the ocean by a white sand, palm-lined beach, Isabela Lodge offers eight rooms outside the sleepy fisherman's village of Puerto Villamil on one of the most volcanically active islands on Earth. Red Mangrove Floreana Lodge is a romantic gathering of 10 private pine cottages just a five minute walk from the village of Puerto Velasco Ibarra (population 150). Australia: The guru says: "Don't pack for a long time. Pack for a good time." Spring clean your mind and put a spring back in your step – with online travel agent ZUJI's Spring Sale; holidays selected to help you experience the essence of the season around Australia; or the world. Live the fun and fashion of spring carnival racing in Melbourne. Escape to the gleaming beaches of Fiji or Queensland. Indulge in the fine food and wine during what is arguably Adelaide & Auckland's best season. Admire the effect the blooming gardens have on the breathtaking city of Hobart. Or succumb to lengthening sun-soaked days along Sydney's harbour side. Melbourne Travel Combo Flight + Hotel: Stay 2 nights at Cube Serviced Apartments with return economy flights from Sydney from $309 p.p. twin/double share. Just minutes from the Paris end of Collins Street, the CBD and the Regent, Princess and Her Majesty's theatres, Cube offers affordable accommodation and features 115 brand new and beautifully appointed studio apartments, with kitchenettes and ensuites. In-room features include a 32 inch LCD TV, some rooms include a DVD player, movies, cable and Ipod dock clock. Valid for travel until 20 December 2010. Wrest Point Hobart, from $105 per night twin/double share. With absolute water frontage overlooking the sparkling Derwent River, Wrest Point provides first class accommodation with spectacular views, and a wide range of dining and entertainment options. Valid for travel until 20 December 2010. BreakFree Alexandra Beach on the Sunshine Coast, stay 3 nights, pay for 2. From $155 p.p. twin/double share. 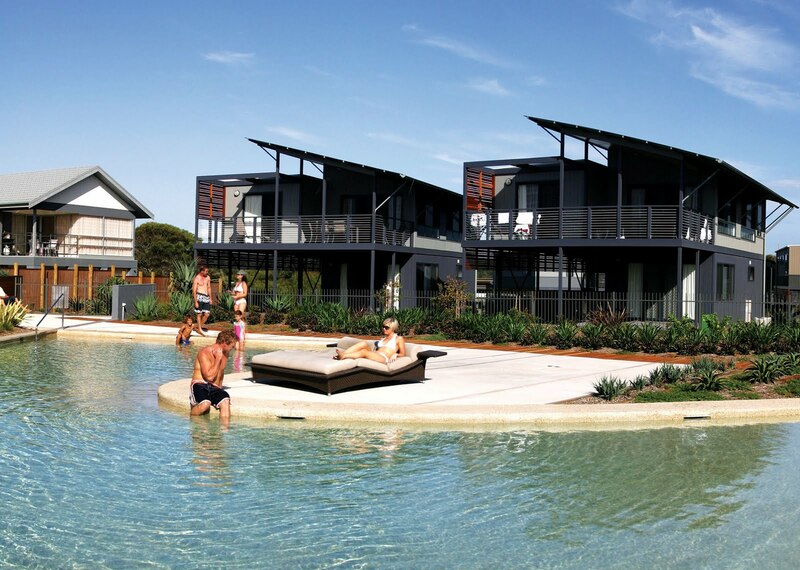 Located directly opposite the patrolled surf beach, BreakFree Alexandra Beach offers a range of studio, one, two and three bedroom self-contained apartments wrapped around a tropical lagoon pool. Facilities include two heated pools and spas, waterslide, gymnasium, children's playground and BBQ. Valid for travel until 20th December 2010. 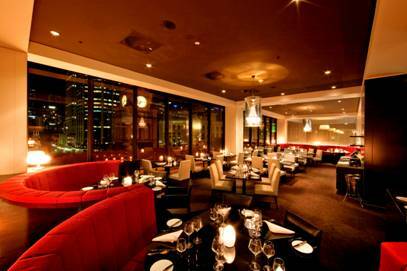 Auckland City Hotel, stay 2 nights save 20%, from $78 per night twin/double share. Auckland City Hotel retains the character and charm of its past, enhanced with contemporary decor. With 138 spacious guest rooms and suites, Auckland City Hotel suits both leisure and business travellers. Rooms offer eco-friendly products, LCD TV with satellite channels, high speed Internet access, and some have kitchenettes. Valid for travel until 31 October 2010. To get you to Auckland in Spring, Zuji's sale fares from Australia to Auckland start from as little as $199.00 per person, each way. Valid for travel until 30 September 2010. Spring is in the air- and online- at ZUJI.com.au ! *Advertised prices are correct at the time of publication and include taxes and surcharges. ZUJI charges no booking fees and credit card fees. All prices shown, including hotel, holiday and flight prices may vary and subject to availability based on the fare types and room types available on your preferred travel dates. Prices based on Economy class only. Hotel prices are lead-in prices and based on per room per night. Holiday prices and savings are per person based on twin share. The Penrith Caravan, Camping & Holiday Expo is on again this weekend at Penrith Panthers. From 10 to 12 September, record breaking numbers are expected to flock to Penrith Panthers to see over 150 exhibitors displaying the latest caravans, motorhomes, camper trailers, campervans, 5th wheelers, camping equipment and tents, 4WD products and accessories, holiday destinations and tourist park displays. Barry Baillie CEO of the Caravan and Camping Industry Association believes that the increasing economic stability and the advancing quality of Australia's caravan and camping facilities influenced the record breaking visitor numbers of 88, 237 people to April's Supershow at Rosehill. Mr Baillie trusts that this trend will be replicated at the Penrith show next week. "Many NSW holiday parks are destinations themselves, with great activities such as jumping pillows and resort style swimming pools and kids clubs during school holidays. Whether you take your own tent or camper trailer or stay in a cabin, holiday parks are great getaways for families." Caravan and camping tourism is the fastest growing domestic tourism sector in Australia and one that is leading the resurgence for tourism across the nation. 40.9 million visitor nights were spent in caravan or camping accommodation in 2009 this is an increase of 1.3 million nights from 2008. For those new to the market or those wanting to add to their gear, the Penrith Expo is the ideal event to grab great bargains on everything caravan and camping! The Penrith Expo is free to the public and offers all the latest and greatest industry products and services at fantastic pre-summer sale prices. Free parking allows guests to have ample time to browse caravans and RVs, tents and many leisure goods. "Our website – www.penrith.superhow.com.au – lists all of the Penrith Expo exhibitors for visitors to plan their visit to the show," said Mr Baillie. The Penrith Expo will be open 9am-5pm daily (closes 4pm Sunday) with free admission and free parking. For more information, phone the Expo hotline on 1902 220 299 (call costs apply) or visit www.penrith.supershow.com.au. Whether your ideal short break or holiday is quality time away with family, rekindling the flame with that special person, rejuvenation and relaxation or fun with friends. Constellation Hotels are offering some great spring short break and holiday deals in some of Australia's most sought-after and unique holiday destinations, with over 60 hotels across Australia and New Zealand. Australis offers seven idyllic hotels and apartments located in Diamond Beach (NSW), Surfers Paradise, Noosaville, Hervey Bay, Townsville, Wisemans Ferry and Margaret River – the perfect choice for a holiday with the family, friends or a romantic getaway for two. Australis Diamond Beach Resort & Spa is located 3 hours north of Sydney on the New South Wales mid-north coast. Spring school holiday packages including supervised Kids Club from $229 per night for up to 2 adults and 2 children or rejuvenate with a spa package from $249* including 2 endotarama spa treatments and a bottle of champagne on arrival. Further north, at Australis Noosa Lakes on Queensland's Sunshine Coast, lose yourself in the seven landscaped acres on the shores of Lake Doonella and the Noosa River. 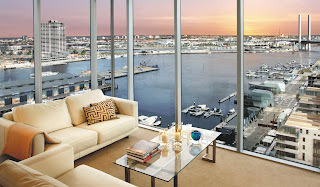 From only $124* per night including a $50 Marina Spa voucher. Enjoy spring in the city with Chifley Hotels. Spend sunny days strolling the streets lined with shops, restaurants, cafes and bars. Spring is the ideal season to catch the latest spring gigs, shows and events in major city and regional hubs around Australia including Sydney, Wollongong, Newcastle, Albury, Brisbane, Adelaide, South-West Victoria, Geelong, Cairns and Alice Springs. If it's the tropics that you want, spend a few days at Chifley Pacific International Hotel, Cairns exploring the Great Barrier Reef, perusing art galleries, shopping and dining. With packages from $129* per night including a complimentary superior room upgrade, bottle of bubbly on arrival, full breakfast for two and parking, there has never been a better time for a short tropical escape. Relax on an easy spring break in Adelaide, with Grand Chifley on South Terrace, offering breakfast for two and a $20 restaurant voucher from only $160*. Visit the surrounding vineyards and pick up a souvenir drop at the cellar door…an ideal way to say good bye to Winter! If you're ready to shake off those winter blues and the sun and surf is your thing, then take a family mini-break to Wollongong and stay at the brand new ultra chic Chifley Wollongong from only $225* including free meals for kids and up to 20% off Wollongong's top attractions, or spoil someone special with a bottle of sparkling wine and cheese platter on arrival, full breakfast for two and a late check out from $279* per night. Guests of any Constellation will also receive complimentary membership into The Escape Club program. A great value holiday plus a reward program that not only offers real dollar rewards but a free drink too! So what are you waiting for? To join and for more information on the great range of Spring getaways at Constellation Hotels visit www.constellationhotels.com/spring or call 1300 650 464. A WEEK aboard the world's highest-rated boutique motor-cruiser from Amsterdam to Bordeaux, and 6-nights through the French Winelands on a deluxe 9-cabin hotel barge, are the focus of a unique fully-escorted 21-day fly/cruise for just eight couples (or couples and singles) in July next year. And to round it out, return Business Class air travel is included from Sydney, Melbourne or Perth, and 5-star hotels in Amsterdam, Bordeaux and Epernay. After Bordeaux guests transfer to Dijon in Burgundy from where the 9-cabin hotel barge Esprit sails to Ouges, Brazny, Seurre, Chalon, Chagny and St Leger with daily escorted winery tours and tastings, and select other historic sightseeing including Epernay. 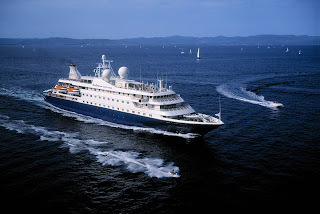 Meals aboard Esprit include regional wines and there will be three gourmet dinners ashore. 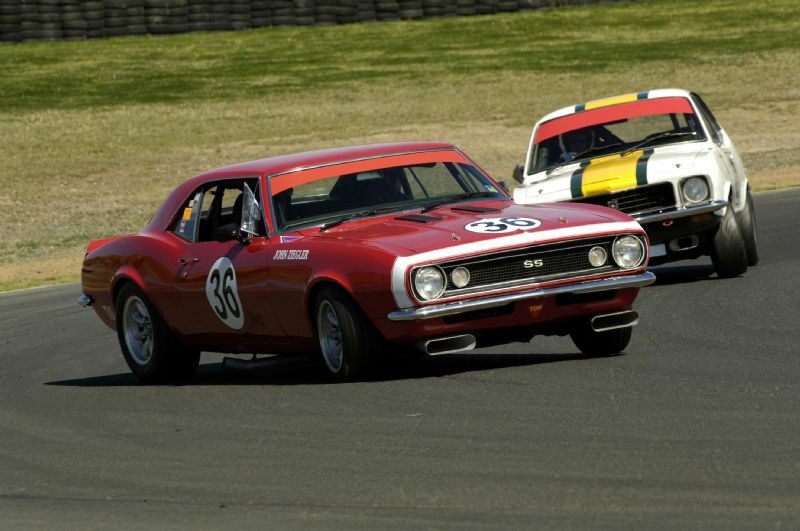 Sydney's Eastern Creek Raceway will once again play host to Australia's largest gathering of racing muscle cars from as early as the 1960s - Muscle Car Masters. Muscle Car Masters is a celebration of Australia's rich motoring heritage and a tribute to the drivers who raced. Held on Father's Day, 5 September, this year's Muscle Car Masters celebrates 50 years of the Australian Touring Car Championship. The event will feature a one-off 50th Anniversary handicap race that will see the best muscle cars from the 1960s, '70s, '80s and '90s pitted against each other in a race to settle the old argument - just what era of racing was the best? Chief executive of the Australian Racing Drivers Club (ARDC) and Eastern Creek Raceway Glenn Matthews said this year's Muscle Car Masters would be the biggest yet. "Now entering its sixth year, Muscle Car Masters has become a must-see event in Australia's motor racing calendar," said Mr Matthews. "Each year the event attracts more competitors, exhibitors and most importantly fans. "Muscle Car Masters is a motor racing event for all ages - giving Dads an opportunity to relive the racing of old and introduce it to their sons," said Mr Matthews. "Muscle Car Masters prides itself on offering something for everyone, be it a racing fan, car enthusiast or an owner who wishes to show off their pride and joy," Mr Matthews said. Other events scheduled for Father's Day recreate the traditional battles of old as Ford Falcon GT-HOs compete against arch rivals in the form of Holden's Monaro, XU1 Torana and the Valiant R/T Charger. Further racing will include the Touring Car Masters, Group C and Group A Bathurst Touring Cars and Historic Touring Cars from the 1960s and '70s. Racing legends appearing on the day will include Bob Jane, Colin Bond, Allan Moffat, John French, Harry Firth, Leo Geoghegan, Alan Grice, Kevin Bartlett, Jim Richards, Barry and Glenn Seton, John Harvey, John Bowe, Murray Carter, Bob Morris, Bob Holden, David Parsons, Wayne Gardner, Neil Crompton and Jim and Steven Richards. Off-track activities include a show-and-shine display featuring Australia's best road-registered muscle cars along with trade sites offering race fan merchandise. In what is believed to be an Australian first, the Best Western Portal Hotel is one of a handful of international hotels catering for the growing number of independent female travellers who demand luxury and security in equal measure. Heightened security is provided by secure access elevator keycards and even the hotel staff employed to carry out duties on the floor are exclusively female. Rooms have been designed with a female aesthetic in mind and each features a fresh seasonal bloom, scented candle, waffle robe and slippers, complimentary women's magazines and a refresher unwind pack featuring organic beauty products and MOR bathroom products. Cloud 9 GHD hair straighteners and yoga mats are available on request and can be purchased at the end of the stay. Conveniently located within a stone's throw of Brisbane's central business district, the Best Western Portal Hotel boasts 84 individual rooms - 11 of which are dedicated Ladies Only accommodation. The hotel itself has just undergone a quarter of a million dollar refurbishment, transforming it from humdrum city lodgings into a stylish boutique destination filled with bespoke furniture and antique pieces. Sadly, for many guys, holidays or weekend getaways can often mean romantic strolls on the beach, sightseeing, endless hours of shopping and uncomfortable talks about their feelings. Yet the popularity of guys-only travel is rapidly rising in Australia with a growing number of men getting in touch with their primal roots and bonding with their mates on 'man-cations', according to the results of a new independent national study. The study of 500 men revealed that 66% have taken a guys-only holiday with their friends in the last two years with another 56% saying a man-trip is on the cards in the next year. Top man-cation activities cited by respondents include: drinking and partying (57%), male bonding (56%), watching sports (26%), 'adrenaline' activities (25%), playing practical jokes (25%) and gambling (21%). 'What happens on tour stays on tour' is the overriding rule of man-cations, with 54% of guys saying they withhold information from their partners regarding man-cation mischief. And having a break from their other halves is a key part of the appeal, with one in four (24%) guys saying that this is one of their favourite things about a boys' holiday. A unique male travel concept will launch this November letting guys holiday like men at a lakeside lodge. The Lynx Lodge at Lake Macquarie, NSW, is kitted out with everything a guy could want in a manly getaway – pool table, spa, jetty and a highly trained team of lodging staff who also happen to be stunning part-time models. Lodge staff will not only serve breakfast in bed and clean rooms, they'll party with guests, take them to the best fishing spots and help them improve their golf handicap. Lynx Lodge is a refuge for guys who want to be pampered, but still feel like men. As part of the launch, Lynx Lodge is giving one lucky guy and seven friends the chance to be the first to christen the Lodge with a free weekend stay in November. For more information or to enquire about a reservation, please visit www.lynxlodge.com.au. Love and indulgence is in the air this spring at the Sofitel Gold Coast Broadbeach with a Sensory Escape Package on offer to banish the last of the winter blues. Sofitel Sensory Escape Package is designed to rejuvenate winter spirits and bodies alike combining accommodation and a couples spa experience. The package includes overnight accommodation in a Superior Ocean View Room, full buffet breakfast for two adults, a bottle of Moet and Chandon champagne, plus an exclusive couples experience at Harbour Day Spa. The Harbour Day spa package features access to a Roman bath, steam room and sauna, followed by a body polish, back, neck and shoulder massage, and paraffin hand and foot therapy, complimented with a glass of rose nectar infused champagne for her and an ice cold beer for him once treatments are concluded. Sofitel is offering the package from A$695 per couple per night. 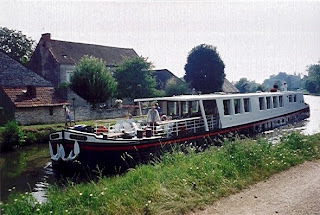 The offer is valid for sale and stays from now until 30 November 2010. Sofitel is idyllically positioned in the centre of thriving Broadbeach, only 200 metres from the beach, beachside parks and Broadbeach's array of savvy shops, cafes and restaurants. It features access by monorail to Jupiters Casino and is just a short stroll to the Gold Coast Convention and Exhibition Centre. Refined and elegant, from the moment you enter the foyer, Sofitel Gold Coast's understated style is impressive with its spectacular eight metre high three-dimensional artworks and divine sculptured flowers arrangements. The hotel features 295 beautifully appointed guest rooms, including 4 executive suites and 17 luxury ocean spa rooms. All offer breathtaking Pacific Ocean or Hinterland views and exude comfort with contemporary furnishings, individually controlled air-conditioning, stunning marble bathrooms with separate bath and shower, private balconies, LCD televisions and movie channels with high-speed internet connection. Hotel facilities include the chic and award winning lounge/bar/kitchen concept - Room81, and the recently relaunched Bistro On3 restaurant on the hotel's pool deck level, serving international cuisine and alfresco and indoor dining. With two magnificent pools - one heated to a glorious 24 degrees, spa and relaxation area set overlooking the entire Coastal region, guests are certainly spoilt for choice. *Subject to availability, must be booked 3 days prior to arrival. The Sofitel Legend Metropole will glitter again at the PATA Gold Awards 2010 ceremony, taking place on 17th September in Macau, when it accepts a prestigious gold award in the Heritage category. 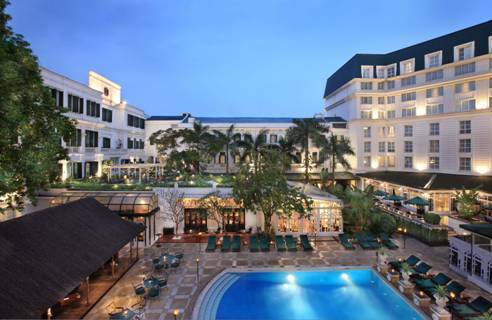 The award lauds the hotel for its refurbishment of one of Southeast Asia's most treasured properties. Sofitel relaunched the Metropole in 2009 as the hotel group's first Legend property. "The challenge for any hotel in the Heritage category is achievement of a very delicate balance between celebration of historical charm, and satisfaction of tomorrow's expectation," said Kai Speth, General Manager of the Sofitel Legend Metropole Hanoi. "Where so many hotels are only thinking about today and tomorrow, we have an obligation to think about today, tomorrow and yesterday. The PATA Award persuades us that we're on the right track." The legendary Metropole's refurbishment maintained the original architecture since 1901, enhanced with the development of new facilities, the creation of themed suites and a range of guest's experience according to the way of living heritage within the spirit of centennial establishment. The restoration began in 2004 and was revealed as a "fait accompli" last year with the Legend launch. The new facilities at the Metropole include, Angelina, a chic Italian restaurant that raised the bar on sophisticated nightlife in Hanoi. The hotel also opened Le Spa du Metropole last year. Remarkably, this was the first spa to be opened in the hotel's 108-year history. The Metropole's themed suites indulge the property's connections to legendary people like Charlie Chaplin, Somerset Maugham and Graham Greene, each of whom stayed at the hotel. Located in the historic, 1901-built wing, each of these suites is imbued with colonial-era aesthetics. "When you're in the Graham Greene suite, it's not that difficult to imagine him sitting here, churning out the 500 words he was reputed to do every day like clockwork," said Speth. "Being able to imagine that – to fall into that time warp, if you will — is exactly the kind of spell we're trying to cast." Kai added. 'Valentino, Retrospective: Past/Present/Future' is a major exhibition exploring the work of the celebrated Italian fashion house Valentino, known the world over for its sophisticated, timeless design and glamorous clientele. Exclusive to Brisbane, the exhibition is showing until November 12, and features a stunning array of haute couture designs tracing Valentino's career from the 1959 opening of his fashion house in Rome to the presentation of his final collection in January 2008. Also included are recent designs from the house of Valentino - highlighting the future direction of this most esteemed fashion house. Designs from house of Valentino have been coveted and worn by European royalty, Hollywood celebrities and members of high society the world over. This magnificent exhibition includes garments worn by stars such as Cate Blanchett, Nicole Kidman, Julia Roberts, Jacqueline Kennedy Onassis, Elizabeth Taylor and more. Exhibition designed and realised by Les Arts Décoratifs, Paris, with the assistance of the Valentino fashion house. 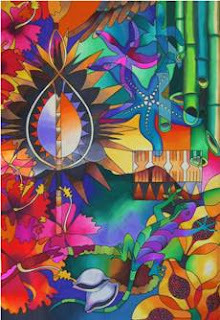 Organised in Australia by the Queensland Art Gallery and Art Exhibitions Australia. Heighten your experience and upgrade to our revitalised Executive Plus Rooms for an additional $140 including access to the lounge, breakfast the following morning, refreshments throughout the day and pre-dinner drinks and canapés. Kayumanis Group takes great pleasure to announce that Kayumanis Jimbaran Private Estate and Spa is now open for guests of all ages. The Kayumanis brand has always been marketed as an adult orientated collection of private villas. Catering to the needs of honeymooners and couples has been the main focus for of the three properties under the Kayumanis banner. However, many of these travellers now have children with whom they would like to experience the island of Bali and enjoy a quality vacation that recaptures the spirit of a previous visit. Therefore, Kayumanis Jimbaran Private Estate and Spa has been chosen to evolve with each growing family by welcoming young travellers to the property. The concept of anticipating the needs of return guests and their family members at Kayumanis Jimbaran Private Estate and Spa will be phased in over the coming months and initially commence with a selection of added value privileges. Guests will be entitled to complimentary tea, coffee, milk, juice and snacks at Tapis Restaurant and Lounge during the day. There will also be complimentary sunset cocktails served at Tapis between 6pm and 8pm daily. In addition, there will be complimentary laundry and dry cleaning for in-house guests and accompanying children. Each villa will have its own complimentary mini-bar filled with non-alcoholic refreshments that will be replenished daily. Personalised transportation with child-friendly seating will also be available within the Jimbaran, Nusa Dua and Kuta areas. Over the ensuing months Kayumanis Jimbaran Private Estate and Spa will unveil a two bedroom villa category with age appropriate facilities. There are also plans for a new restaurant with gallery and retail outlet as well as a spa centre with additional treatment rooms. The sheer size of Kayumanis Jimbaran with its open grassed areas and shady coconut palms simply lends itself to family activities. The gentle waters of Jimbaran Bay are also within easy walking distance offering a great day of sun, sea and sand for travellers with children. Meanwhile, Kayumanis Ubud as well as Kayumanis Nusa Dua Private Villa & Spa will both remain adult targeted destinations for honeymooners and couples to enjoy a romantic escape. Special 90th birthday savings of $100 per night! The iconic Mercure Grosvenor Hotel Adelaide is turning 90 this month and celebrating with a birthday special for its guests. Stay for just $90 per person per night and enjoy accommodation in a Deluxe Room, sparkling wine in your room on arrival, an in-house movie of your choice, breakfast for two in Federal Restaurant, with parking included. That's a saving of over $100! For bookings visit www.mercuregrosvenorhotel.com.au or phone 08 8407 8888 or toll free 1800 888 222. The offer is valid until 30 December 2010, subject to availability (based on twin share). For Adelaide locals, drop in to the Mercure's Federal Restaurant and enjoy a hearty 1920's inspired three-course meal for just $90 for two people. The meal includes a soup of the day, a choice of two mains and two desserts and a glass of wine from the Grands Vins regional wine list featuring the finest South Australian wines. The grand dame of Adelaide, Mercure Grosvenor Hotel Adelaide enjoys a prime position on North Terrace opposite Sky City Casino and the Adelaide Convention Centre and just minutes from of Rundle Mall shopping precinct. The Grosvenor Hotel officially opened its doors in 1920. To mark the opening, which coincided with the visit of the then Prince of Wales, the Grosvenor provided accommodation for over 300 people which made it the largest in South Australia and the fourth largest in Australia. It's prime position was realised early by radio announcers who began to relay commentary of cricket games at the Adelaide Oval by positioning themselves on the Grosvenor's roof and looking north over Adelaide Oval with a strong pair of binoculars! The Grosvenor endured the Great Depression throughout the 1930s. Jobs were scarce and employment at the Grosvenor was considered an especially prestigious position. Prime Minister John Curtin had a special place in his heart for the Grosvenor and stayed there whenever he visited Adelaide during this period. When he died in 1945 the Grosvenor was even mentioned in his eulogy. Around 1942 American soldiers were billeted on the first floor of the Grosvenor, en route to war in New Guinea and the whole atmosphere of the hotel changed - tap dancing in the foyer and silk stockings were plentiful again! Since its very early days the Grosvenor catered for public dinners, balls and banquets including the Order of the British Empire Dinners attended by Dame Roma Mitchell. Adelaide born and bred, Dame Roma became Australia's first female Queen's Counsel and the first Commonwealth female Supreme Court Judge. In 1977 the Grosvenor as we know it today started to take shape. The entire first floor, which until this time had been permanent residential rooms, was converted to a convention and function floor at a cost of $2.5 Million. This made the hotel one of the first to offer conference facilities into a market that was only just developing. Today the Grosvenor still cherishes its rich heritage providing its guests with an authentic experience of Adelaide's bygone era with modern day creature comforts and service.